You can much more easily view your tax refund right here by filling in your registration details with us. According to the authoritative website the ITR refund will be credited by your refund banker, the State Bank of India and transferred directly to your Savings Bank account 10 days after your Assessing Officer forwards your money to the banker. File your ITR with All India ITR for free of cost. We will guide you step-by-step to file your tax return accurately and without any hassle. It is ideal for both freshers as well as experienced taxpayer as our guidance are easy and accurate. Sorry, for the delay. Your result could not be displayed due to a technical issue. Please try again after some time. It is advisable to check your tax refund status with All India ITR as any update or changes such as submitting rectification request, rechecking your refundable amount, etc. require a tax expert. Any further step directed after checking your tax refund will be proceeded easily with All India ITR. File your ITR with All India ITR, if you have not filed your ITR yet. Check your Refund Status again after a week or two. It means your refund is made. If you haven’t received the amount yet contact the bank or post office. While filing your ITR, if you opted Return via cheque, then track the cheque with speed post tracking reference number on the Refund Banker’s site. It means the tax deducted is accurate and the tax department owes you nothing. You may need to rectify or review your ITR. Your refund is processed. You just need to wait for some time. Contact your Refund Banker as you will get all the details from there. The IT department fails to deliver your refund. You need to crosscheck your account number or address provided while filing ITR. It means your request is rejected as IT department’s calculation says that you owe more tax. Rectify or review the ITR details in such case. Your rectified ITR request is accepted. However, you still owe more tax, which need to be paid within 30 days of the notice received. It means your rectification request is accepted but there is no demand nor refund. Q. How to re-apply for a refund if my refund status displays as “Refund Returned”? Access the income tax website and log in to your user account. There, go to “refund re-issue request” under My Account and select a mode for receiving the refund, providing your account number and address details. Q. 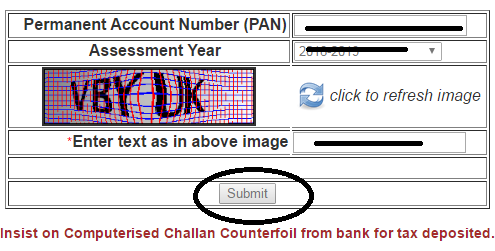 How to change my Bank Account Number mentioned in my Income Tax Return details? Once you submit your request the new details will be updated with the Income tax department. Q. How to raise a refund re-issue request in case of an address change? Address need to be changed only after your refund request fails due to an incorrect address. In that case, go to user account > refund re-issue request > select refund mood > enter new address > submit request..
Q. How to change the Address / E-mail ID / Mobile Number in my Income Tax Return details? Once you submit your details your details will be updated in your profile. The updated details are also sent to CPC to update on the ITR. Q. What must I do to ensure I receive my Income Tax Refunds as quickly as possible? In order to get your tax reversal you must have registered at the efiling platform and have prevalidated your bank account with your registered PAN number. You must also have not made any errors when filling your ITR form and no discrepancies must have been discovered between your Form 16 or TDS payment and Form 26AS (which shows the payments that have been received against your tax ID). You must also make sure that you have e-verified your online tax statement and have received an acknowledgement ITR-V from the Central Processing Center, Bangalore. That is where all online data from the IT department is processed. Your ITR must not have been pulled up for scrutiny and no rectification notice whose status is pending have been issued in your name. Q. How will my refunds be sent? a. RTGS or the National Electronic Clearance Service (NECS): Such transfers necessarily require the 10 digit taxpayer bank account, the IFSC or MICR codes with correctly matched communication details across all your identity documents and bank accounts. b. Paper cheque: You may also get an old-fashioned account payee cheque delivered to your correctly matched home address on popular demand. Q. 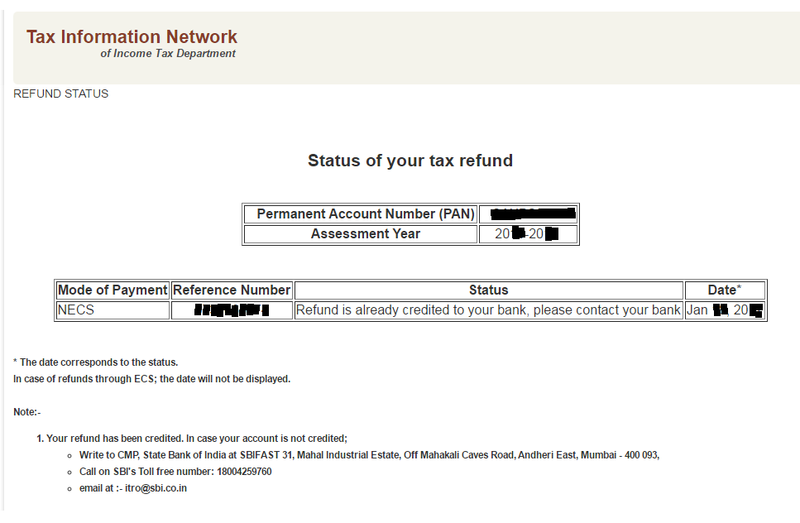 What does the IT Refund Status page show? Reference Number (for internal use of the CPC). Date of the refund, if any.